An extension doesn't give you more time to pay your taxes. 2. Is it Better to File an Extension or Amend a Tax Return? 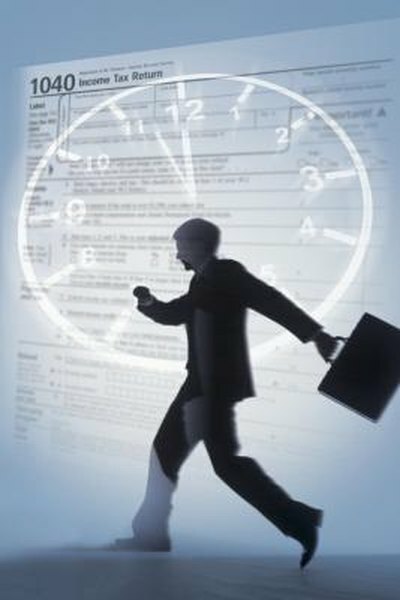 The Internal Revenue Service offers an automatic six-month extension of your time to file your tax return for any reason, as long as you request it before your tax filing deadline. However, an extension isn't a magic bullet that can solve all of your tax problems. In some cases, it's better to just get your return done on time. Filing an extension for your taxes is free -- there's no charge for applying for the extension and you avoid a late filing penalty as long as you get your return filed by October 15. Even if you've just been procrastinating on filing your return until it's too late to get it done on time, the extension is still available. If you miss the deadline and haven't filed for an extension, the IRS hits you with a penalty equals to 5 percent of the amount due every month your return is late, up to 25 percent. If you're waiting on a few more bits of information, filing for an extension gives you the extra time to get your documentation and complete your return correctly the first time. For example, say you're waiting on a newborn's Social Security number or a receipt from a charity so you can claim a deduction for your donation. You can file for an extension and then complete your tax return as soon as you get the information. That way, you don't have to worry about filing an amended return later on. One of the more common misconceptions is that filing an extension gives you extra time to pay your taxes. It doesn't. Your tax payment is still due on April 15 even though you don't have to file your actual return until October 15. Without filing your return, it can be a challenge to estimate how much you're going to owe in taxes. If you overpay, you're essentially making an interest-free loan to the government. However, it's worse if you underpay. If you owe more money when you eventually file your actual return, you're on the hook for interest on that amount, as well as late payment penalties unless you paid at least 90 percent of what you owe for the year on time. If you're expecting a refund, the sooner you file your return, the sooner you get your money back. Though filing an extension doesn't cost you anything in terms of an application fee, it does cost you in the time value of money. For example, if you're expecting a $2,000 refund that you could use to pay down credit card debt that's charging you 15 percent interest, waiting six extra months for your refund can cost you over $150. What Happens If You Pay Your Federal Taxes and Had to Amend Them and They Owe You Money?